Looking for a quiet community to raise your family yet still have a convenient commute to work and accessible shopping? You will find Yorktown Heights, a CDP in Yorktown in northwestern Westchester County, fits the bill. You will see plenty of options in the real estate for sale in Yorktown Heights PO - on any given day, you'll find everything from land for sale to bungalows, custom homes, single family homes and townhouses or condos. Ask us too, about commercial real estate for sale in Yorktown Heights. Besides the easy access to everyday necessities, you can travel in any direction and find a body of water or a park; New Croton Reservoir, Franklin D. Roosevelt State Park and Turkey Mountain Nature Preserve all are nearby. Highly regarded schools within the Yorktown Central School District round out the community. Read on to learn more about the community of Yorktown Heights, following these listings below. Sign Up to Access Members-Only Advanced Search Features - It's Free! Call Hire Realty LLC today, to schedule a private showing of any of the listings for Westchester County real estate that you see on this site. Custom homes and estates is the norm from $975,000 to $12 million in neighborhoods like Lakeview Estates, Huntersville, and Crystal Lake Estates. Home styles and age vary widely, but you can be assured that at this price point, all the items on your list will be checked off and then some. Homes generally offer 3-5 bedrooms and up to 7 baths, covering 1,400 to over 7,700 square feet. Many homes are estates, with private drive and possibly a gated entrance. Frequently, additional buildings are available, like a guest house, extra garage, or workshop/studio space. Interior features might include elements like high ceilings, custom fireplace, chef’s kitchen, and basement. Outdoor fun space might include an equestrian bay, pool, tennis, pond, and wooded area. Below $1M, there are countless choices for single family homes for sale in Yorktown Heights. 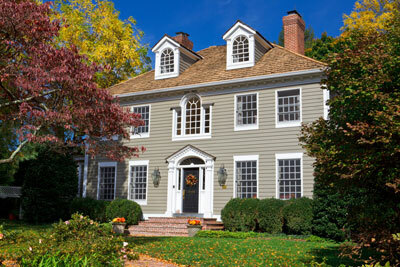 You’ll commonly find spacious Colonial homes set on extensive lots with interior and exterior bells and whistles. Homes typically have 4 bedrooms and up to 5 baths in communities like Bridle Ridge, Clover Ridge Estates and Yorktown Farms. Interior elements might include formal and casual spaces, one or more fireplaces, island kitchens with top-of-the-line appliances, recessed lighting, hardwood flooring. Some homes have basements and some may have outdoor entertaining areas like kitchen, pool, and designer patio. You might expect the floor plan to span between 2,400 to 5,300 square feet. There truly is something for everyone when you look for homes for sale in Yorktown Heights. You've find prices beginning at $125,000, though for that price for a single familiy home, you will definitely find it to be a fixer-upper or a flipper. From there, you will jump to at last $200,000 for a single family home and still you'll find most homes in need of some renovation. In neighborhoods like Shenorock and Sultana Ridge, you’ll find a vast inventory of homes of varying age from 1-4 bedrooms with as many bathss. You'll start to find homes that have already been updated in these areas. Residences are as tidy as 680 square feet and as spacious as 3,800+ square feet, many with established yards and attached garage. Some homes have attic and basement for extra storage and laundry, and you might also find tile, hardwood, pantry, walk-in closet, and plenty of kitchen storage. Condos for sale in Yorktown Heights are plentiful. Huntersbrook, Jefferson Village, and Overlook Commons are just a sampling of the condo communities here. From $95,000 to $439,000 you’ll find studio to 2-bedroom homes with up to 4 bathrooms. Within 550 to 1,865 square feet, you might find in-unit laundry, fireplace, ensuite bath, and walk-in closet. Many units have a private patio or deck, and may have garage parking and additional storage. Select communities have amenities such as tennis, pool, and sport court. Available land for sale in Yorktown Heights could include water view and residential lots, as well as parcels for subdividing. Listings typically start below $40,000 up to $1.15 million for tracts from .32 to 10 acres. Commercial property with road frontage and parking are sometimes available from below $200,000 to almost $2 million. Building sizes range from 750 to 17,500 square feet.